Modern Melodix XXL is here from MVP Loops! Featuring the top live musicians and producers in LA and processed by the best in the industry at sample library development, in this product you have radio quality content that is ready to top the charts! Modern Melodix XXL gives you 30 massive construction kits that include keys, synths, live guitar, live drums, live bass, and live percussion, as well as programmed drums and bass synths to give a total package of modern sounds. This product covers genres from a wide spectrum including hip hop, pop, trap, soul, funk, r&b, and everything in between. 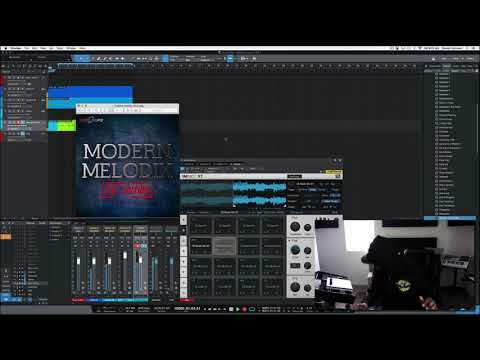 Modern Melodix XXL delivers you an A team of musicians creating content that you crave backed by the MVP Loops team's engineers and producers using the best preamps, clocks, and converters to deliver a sound that is spectacular. Included are the separate parts, but also you receive a full mix, music mix, tweaked lo-fi mixes, and of course the drums in the drum mix for your pleasure. We’ve also included drum one-shot samples, along with chopped musical riff samples to give your productions a new life. Modern Melodix XXL contains 3.61GB of top-notch content to choose from and is Multi-formatted to fit virtually any production setup so you can’t go wrong.